I suffer from melasma on my face (due to thyroid issues etc) and have been trying to find a decent sunscreen for ages. I really liked the Sunumbra SPF 40 Sports edition, and am also looking at getting the SPF 30 Family edition simply because of the volume value. My concern is that the entire range seems to contain tyrosine, which is a precursor to melanin. I'm worried this is just making my melasma areas darker. It's difficult to tell because it's dermal melanoma. 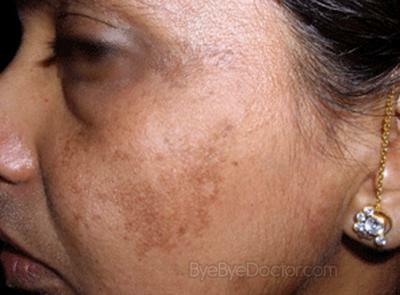 Thanks for sending through your query about your melasma and the Tyrosine included in some of our products. Firstly, let me correct you in saying that we have 2 products, Sunumbra SPF30 (now renamed Sunumbra Classic to differentiate it more from Sunumbra Family) and Sunumbra Sunkids that do not contain any Tyrosine. They are both ‘tinted’ due to some of the botanical ingredients included. The other 3 sunscreens have none of these 'tint' botanicals, but have had additional ingredients included for overall skin health purposes, one of which is Tyrosine. We included Tyrosine for its skin healing properties and the fact that it is involved in the structure of almost every protein in the body. One benefit is that if we are naturally lacking in the ability to create Tyrosine, having it present in the sunscreens will help boost our abilities to make melanin, which is our natural defense mechanism against sun damage. It won’t mean that it will enable more melanin to be produced than normal. Perhaps also worthy of noting, is the fact that many sunscreens, especially the chemical ones, contain endocrine disrupting ingredients, which will most likely increase the hormonal imbalances attributed to creating the melasma in the first place. "I bought your sunblock yesterday in the spf 40 kiddies version- the minute I put it on, my skin felt calmer and looked healthier. 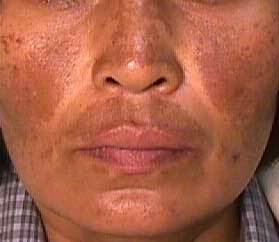 I struggle with melasma as well as spider veins and mild rosacea, and all chemical sunscreens seem to significantly worsen these conditions. Physical sunscreens, on the other hand, give my face a ghostly grey-green pallor, which I thought I just had to accept as a fact of life. So I am overjoyed to find yours, which actually improves the colour and texture of my skin, and makes it feel soothed and healthy. Thank you." My recommendation is therefore to always keep to the physical /mineral sunscreens, and if you choose to continue using Sunumbra products, try the Sunumbra Sunkids or Sunumbra Classic in preference to the other 3.